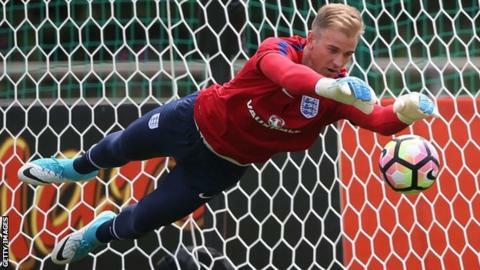 West Ham are interested in signing Manchester City's out-of-favour England goalkeeper Joe Hart. There is no deal done yet but it is understood joining the Hammers is a possibility for Hart, who has no future at City under manager Pep Guardiola. Hart was on loan at Torino in Italy last season but has returned to City, where he has a contract until 2019. Conversations have also taken place between the 30-year-old's representatives and Manchester United. While United boss Jose Mourinho is an admirer of Hart, who has 71 international caps, the clear preference at Old Trafford is to keep David de Gea, which they expect to do. The signing of Ederson Moraes for £35m from Benfica underlined Guardiola's view of Hart. City are only thought to be interested in a permanent transfer. They leave for a three-match tour of the United States on 17 July. He made a lot of mistakes at Torino. I'm not saying he's a bad goalkeeper, sometimes he really pulls it out, and what was great for him at Torino was everyone loved him. He was the one that commanded the headlines. Everyone wanted to read about him, everyone wanted to talk about him because he was the English captain and everyone wanted to look at him like this beacon that came to Torino and chose Serie A over everyone else. But let's be honest, he's not of that calibre. He is a Torino-style goalkeeper rather than Manchester City any more. So, all in all, he is only what I would say is mediocre in Serie A, which is littered with good goalkeepers and good defenders.